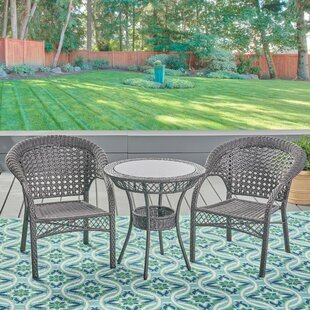 Looking to make the most of your outdoor spaces, but dont know where to start when it comes to putting together an outdoor ensemble? 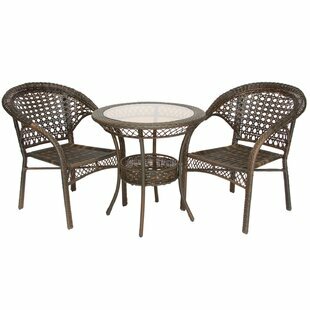 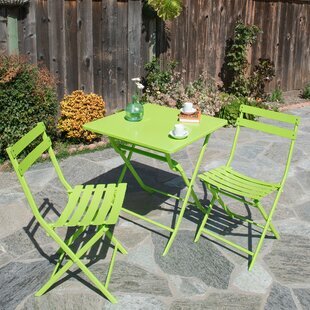 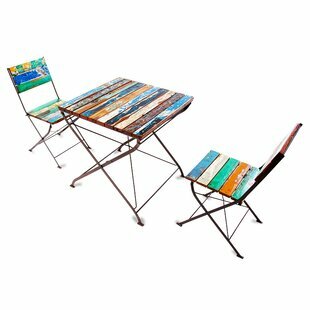 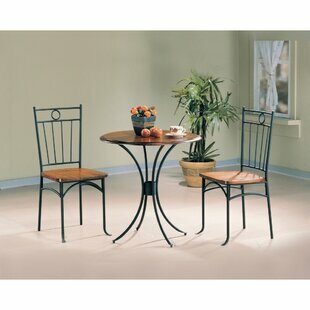 With a dining set like this, you can take a headache out of setting up your patio or balcony. 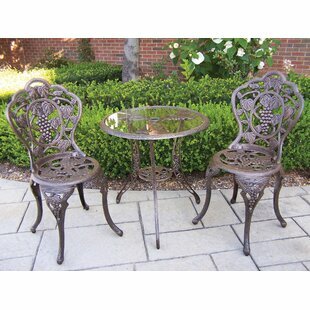 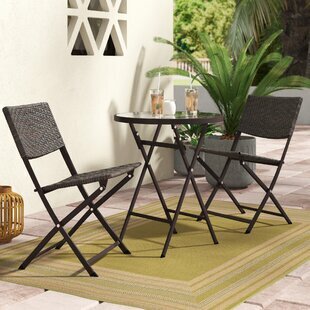 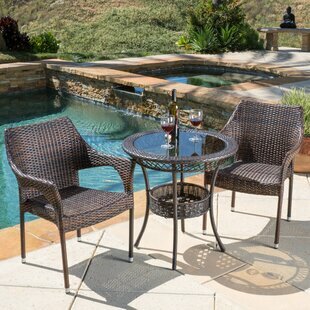 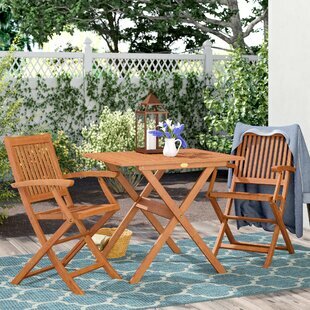 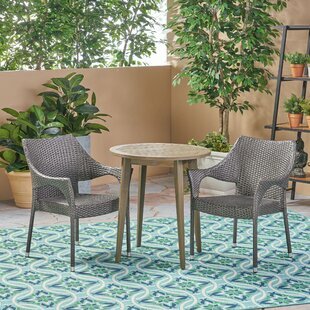 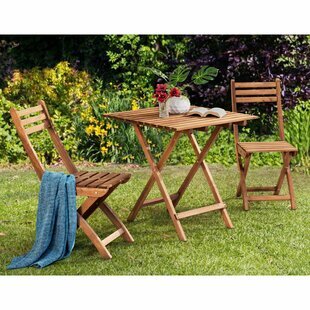 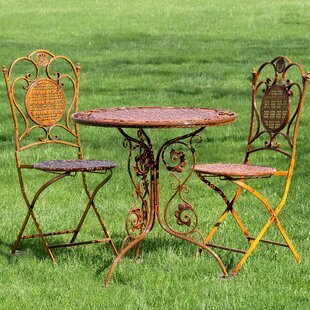 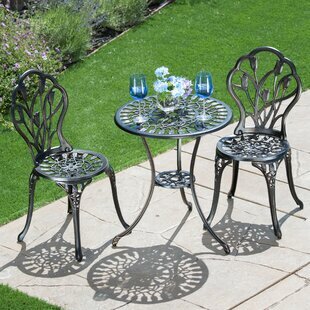 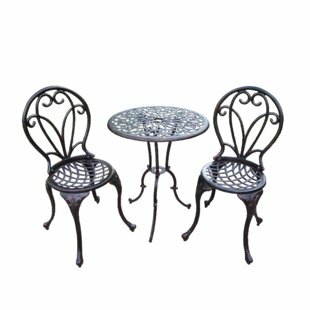 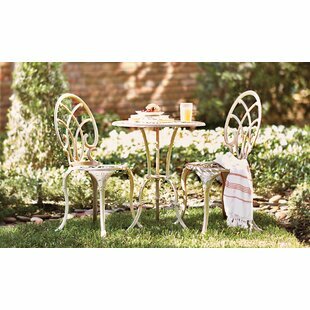 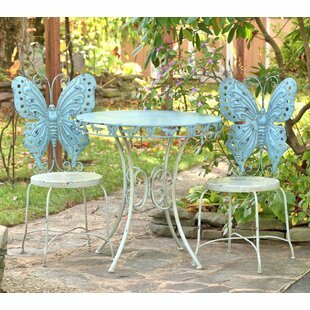 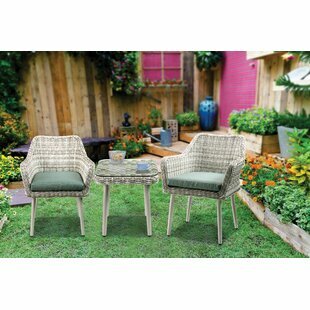 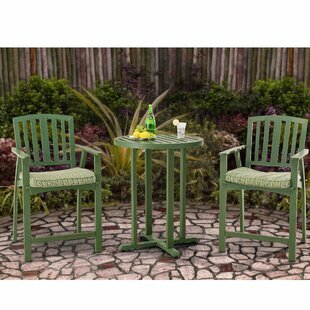 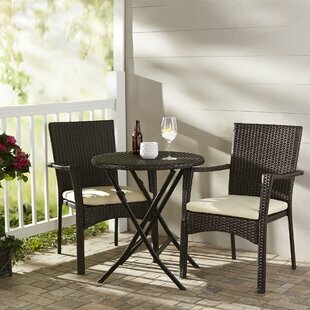 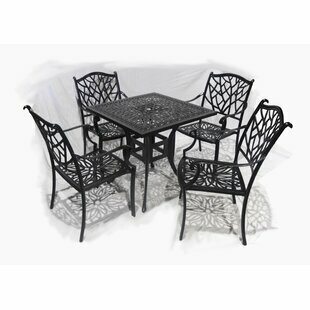 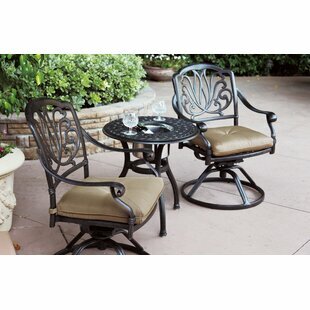 Crafted from weather resistant resin wicker, this three-piece set features a glass-topped bistro table and two chairs, so you have everything you need to craft a spot for an intimate outdoor meal. 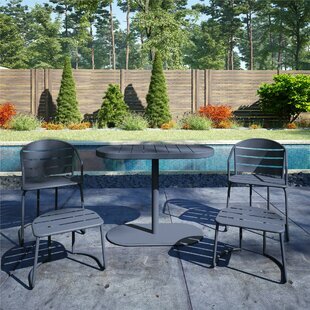 The seats include removable blue cushions for a softer touch while you... 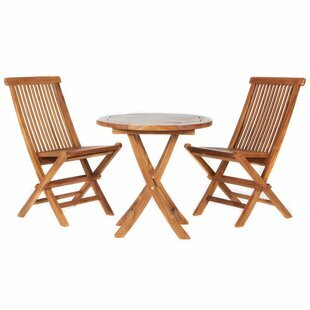 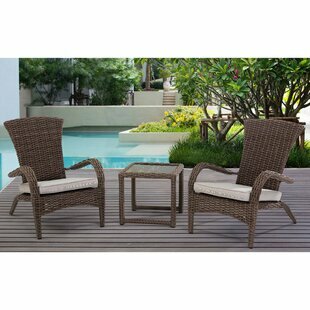 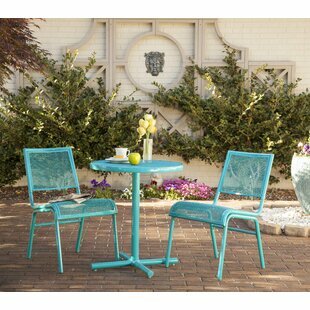 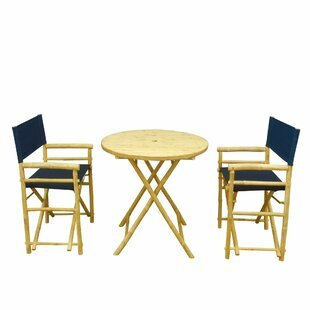 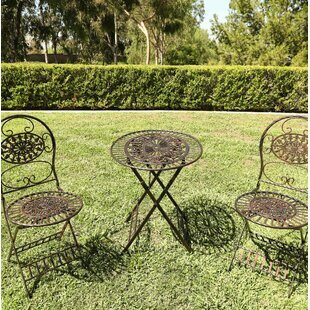 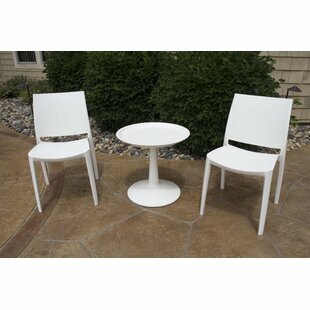 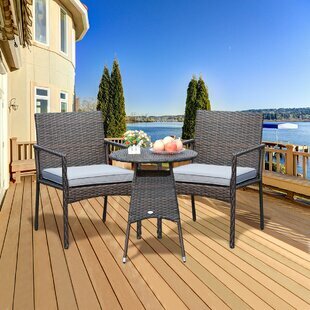 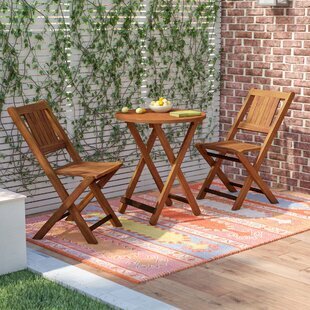 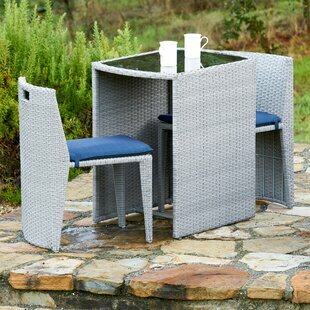 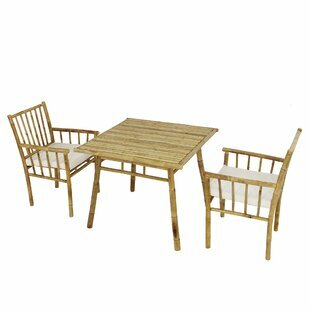 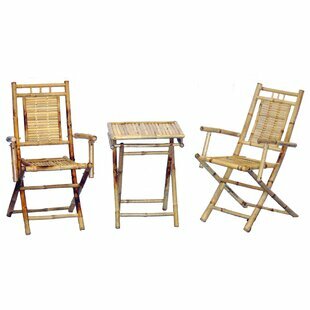 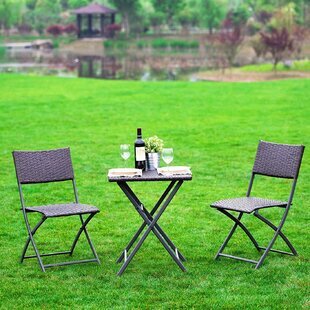 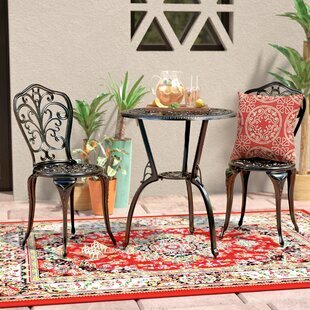 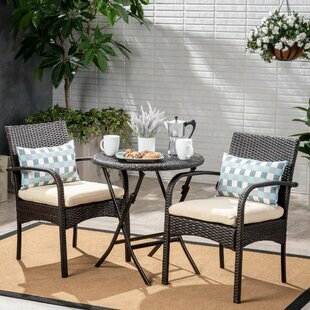 Pieces Included: 1 Bistro table, 1 large chair, 1 small chair Table Top Material: Glass; Wicker/Rattan Durability: Weather Resistant; UV Resistant Product Care: Spot clean fabric surface and wipe frame surface with a cloth dampened with water and detergent.